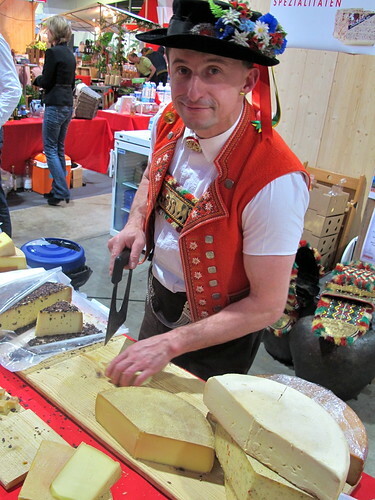 We recently celebrated Switzerland’s 719th birthday with the ultimate of Swiss adventures… biking in the Alps, a picnic with plenty of cheese and local fruit (cherries, nectarines, berries), a traditional breakfast table with Birchermüesli, fresh breads like Zopf and Gipfeli (Swiss croissants), dried meats and more cheese. 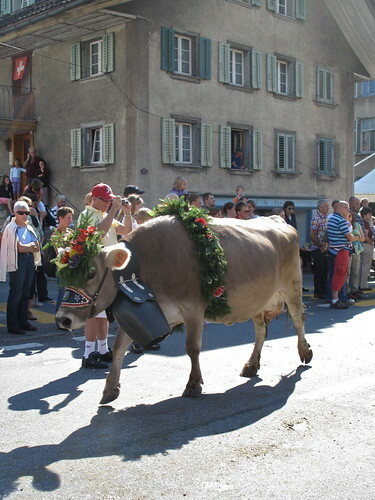 Throw in an Alphorn, some yodeling, a day tracing Switzerland’s architectural history at Ballenberg and more. Yet even with all of that, I knew you would sense that there was something missing. And many of you put your finger on it right away. Chocolate. Time to rewind a bit to an absolute story book village, as charming as they come, right on the Rhine River. (And coincidentally, that’s back to another anniversary weekend last year.) Even the gray blanket of clouds that day didn’t take away from the beauty of Stein am Rhein, a medieval town less than an hour north of Zürich and but a hop, skip and jump from the German border. 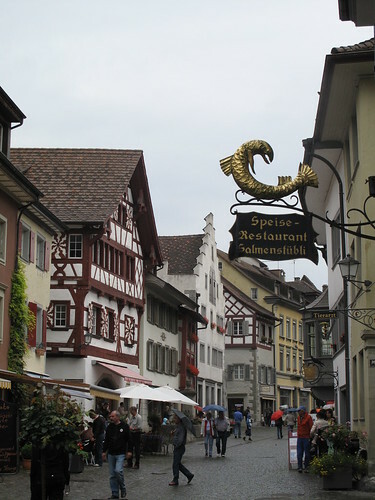 We strolled through the few streets, admiring the frescoes and signs, the latter which reminded me of Appenzell‘s streets. I found myself in the town’s chocolate store (shocking, I know), a tiny shop crammed not only with assorted Swiss chocolate brands, but also with tourists piling bars into their arms. I popped my head in to see what was on the shelves. When you enter, front and center are big plastic bins like you’d see in a self-serve candy store, of individual Toblerone triangles. First time I had ever seen that. Brilliant! I realized this shop needed closer attention. Passing commercial brands as well as elbows in every direction, I came upon a small section with packaging I didn’t recognize. But the name, Ballenberg, I knew; that was Switzerland’s open-air museum I had wanted to visit since moving to Zürich. They do chocolate? So I looked closer. At which point I needed to tell my patient husband waiting outside that this was not going to be a “quick peek inside.” No surprise there either. Fleur de sel. 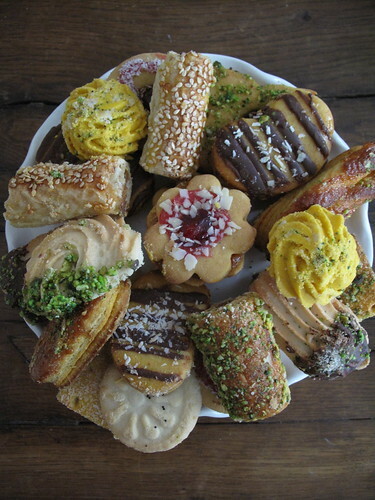 Pistache salée. Caramel. 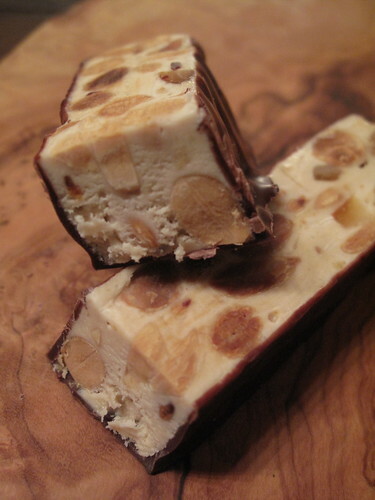 Nougat Croquant. Before I knew it, I had 8 bars in my hands. I normally just buy one bar of a new brand to test it out. But instinct told me, very simply, “take more.” The whole premise of Ballenberg, its artisanal nature, getting to the core of origin and quality, led me to believe it couldn’t be all that bad. So I went for it. To only later regret buying only 4 bars. The chocolate was fantastic. 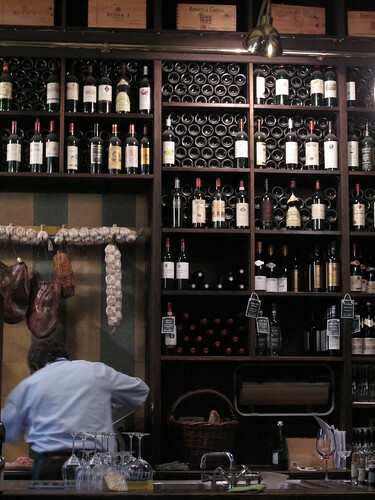 Not in a long time had I reacted so enthusiastically to a bar, perhaps since my first taste of Felchlin years ago. And while many chocolate bars here in Switzerland are simply made with Felchlin or Lindt, I could taste that this was not the case. 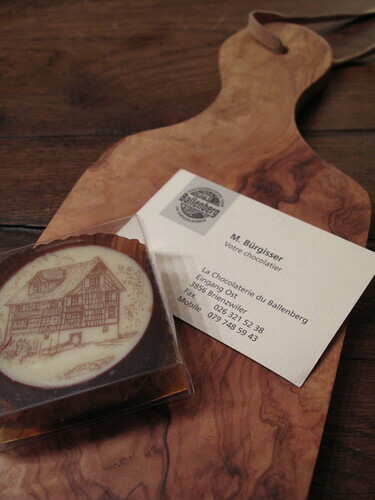 Back home in Zürich, I called Marius Bürgisser, the chocolate maker at Ballenberg. I had to find out where I could get my hands on more of his chocolate within walking distance. Ballenberg, was his reply. 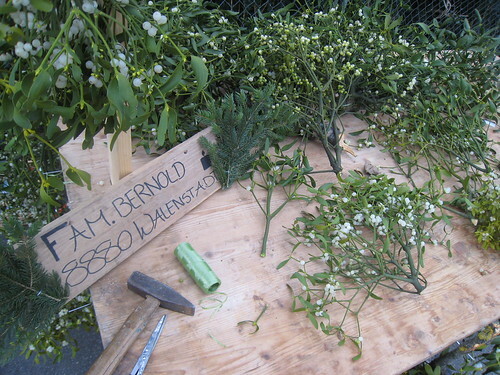 He works alone there, blending, mixing, melting and molding, not at all interested in huge quantities and selling all throughout Switzerland, let alone in other countries. 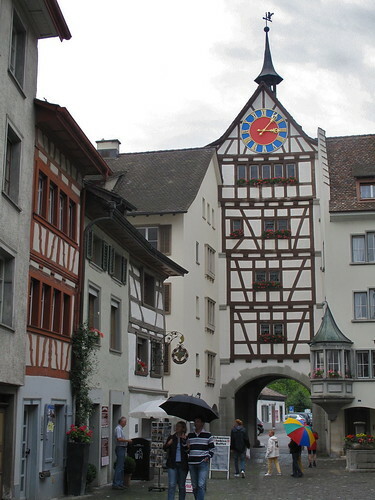 (The shop in Stein am Rhein happens to be the only other source, simply because of a long-standing relationship he has with the owner.) This only made me appreciate the chocolate more. Fast forward past many email exchanges with his daughter Christine, to a wonderful conversation I recently had with Marius himself, and his friendly wife Marianne, in their shop at the East entrance to Ballenberg. 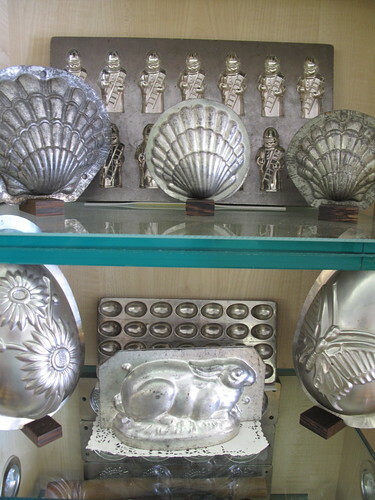 Then zoom in on their impressive collection of chocolate molds, the oldest dating to the 1600’s. On the other side is Marius, who you can watch closely working with the chocolate, as he does almost 7 days a week. You quickly understand why his bars aren’t on the shelves at the local supermarket. Marius doesn’t work from the cacao beans themselves, rather he receives shipments of the beans already ground from various locations including Venezuela, Madagascar, Ghana, Trinidad and his current favorite, Ecuador. 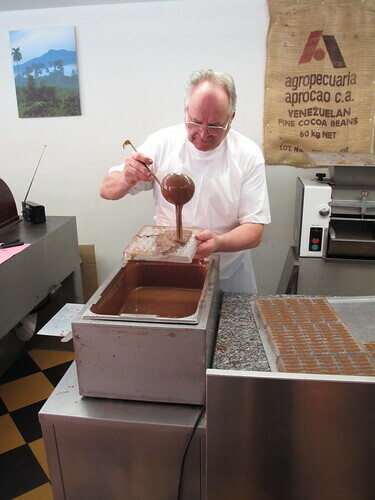 He makes his own blend from the cacao powder, and you can see the chocolate in the conching machine in his shop. From this he makes his impressive range of bars, and even more that I had not seen in Stein am Rhein. They piled up quickly in my arms again. I obviously had to get another Fleur de Sel, and a few Nougat Croquant, not to mention a bar made with Marius’ homemade nougat (below, top right). And is that Cappuccino I see ? I hesitated as it was only made in milk chocolate, not dark, my preference. But I only wish I had gotten several of this bar. Despite its dark appearance from the coffee, it is an incredibly smooth, deep milk chocolate with a full coffee flavor, not bitter or overpowering, and extremely unctuous. But the Juhumba bar remains my favorite. 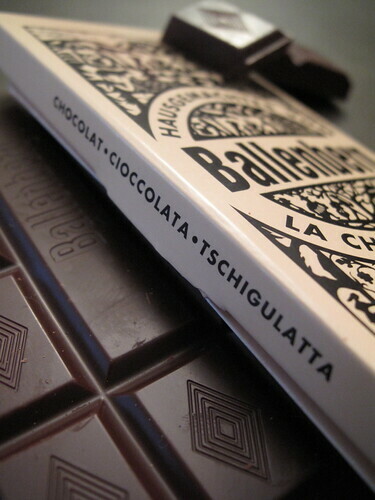 Salted pistachios in 65% dark chocolate, it is simply a perfect balance of flavors. After grabbing a few of those, I asked about his other specialty, the Ballenbergerli (below, top left and bottom right), the name being a creative spin on Sprüngli’s signature Luxemburgerli macarons. It is a Japanese meringue base (made with nuts) and a layer of delicate praline cream, then dipped in dark chocolate and topped with white chocolate. With a choice of four images on top, I loved that the one I chose happened to be Zürich! 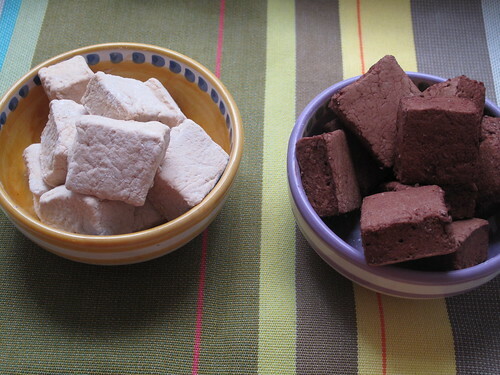 The confection is remarkably light. 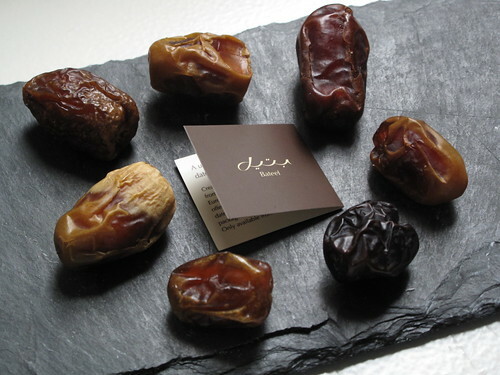 A picture-perfect historical village, a passionate and devoted artisan and mouth-watering chocolate. I think our Swiss story is complete. 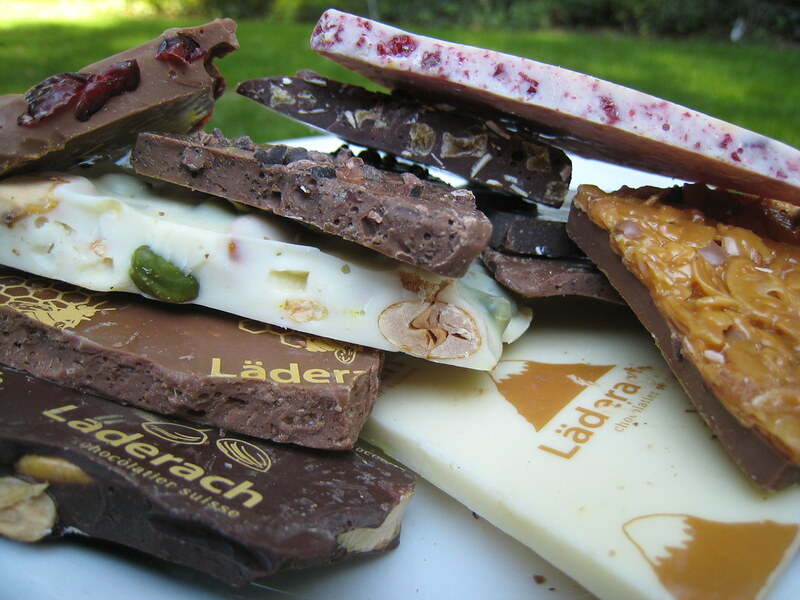 Your swiss story is certainly complete with a delicious chocolate mouth watering ending! You must have felt that when you entered the chocolate shop you died and went to heaven! How could you only come out with 4 bars? I do love all the vintage molds hanging on the walls. Were any of them for sale? Watching Marius make the chocolate is fascinating and sharing his love of chocolate with you must have been a wonderful experience. Nothing like a factory making chocolate…..!!!! The bar with the pistachio nuts looks so yummy. I do think that I would like one! Send it on, now!!! What a delicious treat this is, and also an excellent complement to my chocolate-less morning tea time. Of course, I’m no longer truly chocolate-less, as you do such a wonderful job of making me feel that I’m there alongside you (my arms filled with chocolate bars and a hungrily silly grin plastered on my face). Especial YUMS go out to the homemade nougat, the Ballenbergerli (minus the white chocolate layer), and the mentions of pistachio! Yep, this post is a BOHHHHHNUSSSSSSS! Have mercy! This post literally made me drool on my key board. Oh how I miss Germany and Austria and well Europe in general. Your pictures are amazing felt like I could grab the chocolate directly off my screen. Unfortunately I could not! A mate of mine was asking me what the attraction of food blogs was – don’t they just bring out recipes? she asked. Well, it’s great reading like this which takes you through an amazing journey of discovery or even just the pleasure of a good read. Your passion is contagious, and it probably has a lot to do with your great ability to translate it into words. Now, what a great discovery this chocolate shop. More interestingly is all that you uncovered.I am fascinated by the moulds – to think that some of them go as far back as 1600 is quite amazing. 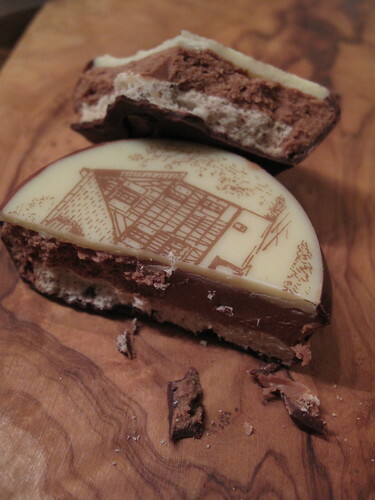 If I were given a bar of the pretty chocolate engraved with the chalet I might have problems eating it.how pretty is that!! I might resist fir 30 min. The pistache salée fascinated me. My fav nut and chocolate. Maybe one day I’ll get the chance to taste it. Happy Birthday!!! Feliz aniversário!!! Lani, it really was wonderful to see Marius working with the chocolate and to chat so casually with him, such a nice man and generous with his time. You’re right, *only* four bars ?! 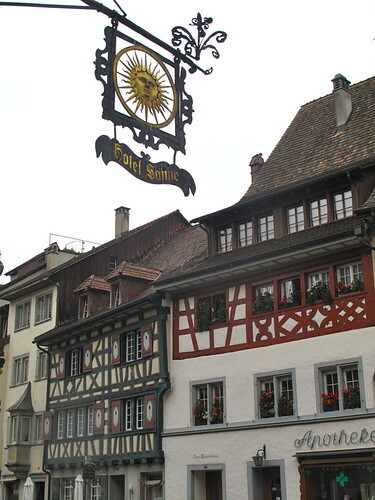 But that was just in Stein am Rhein, don’t worry… I bought well more than 4 bars this last time around ! 🙂 The molds aren’t for sale though, just display, almost like a museum exhibit in itself ! Strawberry CAKE, uh oh, better not get too much drool on the computer 😉 Thank you for your kudos above, wish I could have an option here to make some of this chocolate grab-able for you !! Perhaps some day in the far future, who knows what technology there will be then ! ha ! Valentina, thank you for your wonderful comment and the birthday wishes ! 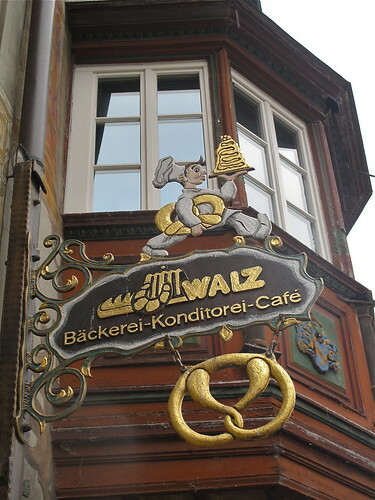 I have to say, I too resisted for a while with that precious image on the Ballenbergerli – but… one can only hold out for so long 😉 I hope your friend can enjoy food blogs like you do, all the discoveries out there to be made…! I am so glad you enjoy. I agree with Lani about that bar with pistachio nuts. Nuts and dark chocolate is often an irresistible combination! 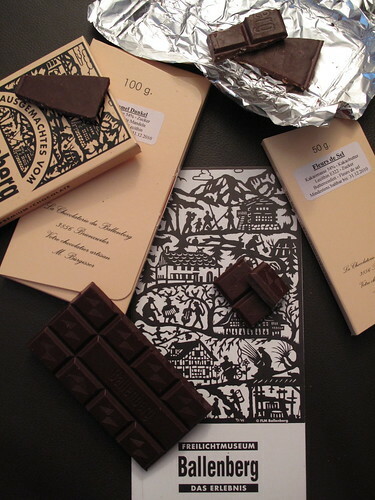 Whenever I visit Zurich again I’m definitely paying a visit to a store where they sell Ballenberg’s unique chocolate. I like the idea that the pistachios are salted. The salt must really bring out the flavours. Sounds like a party for your tastebuds. trust you to stick your head into a choc. shop and make an incredible discovery, which leads to a wonderful experience. hey, i’ll take you to the Ritter Sport shop when you come here if you take me to Ballenberg! Samantha Angela, definite party for your taste buds ! 🙂 As you said, the salt really enhances the flavor of both the pistachios and the chocolate. Divine ! Meeta, you’ve got yourself a (sweet) deal – one Ballenberg visit for one Ritter Sport shop visit. I already can’t wait for both ! What a joy to stumble across someone with such passion and dedication for their craft, that they maintain such a personal hands on approach, keeping the resulting chocolate volumes small in number but enormous in quality. Such an approach which in years gone by has seemed to slip away in the advent of chasing high profits. What a pleasure it would be to seek out these long standing artisans, as well as new ones that are keen to produce, the old fashioned way. And to be perfectly frank, I would much rather spend three times much on something which is produced with love, than buy something cheap and nasty that has been mass produced. Anyway, enough of my rants. I think you must own an internal chocolate compass. And if I didn’t think it before, I think it now. You most certainly must be one of the best chocolate authorities in the world. I’m serious. My love of chocolate is strong, but certainly complemented with the insights, knowledge, history and taste appreciation that you show. 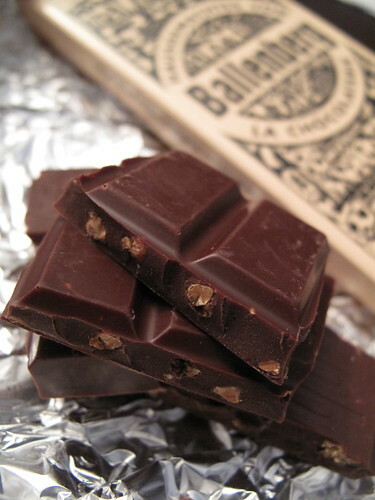 I love reading your chocolate stories. Subsequently, there’s lots of Googling that happens at the same time – reading up more about the places and things you mention. 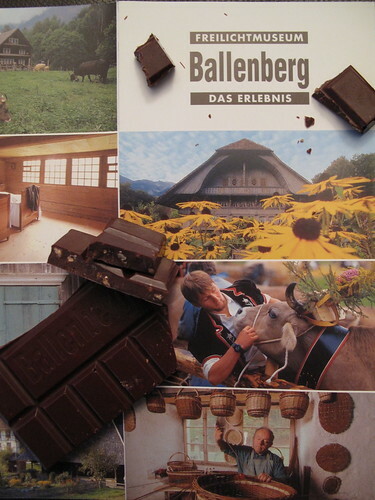 Thank you for sharing with us about Ballenberg chocolate. I’m also going to have to keep my eye out here in Australia for chocolate made with Felchlin. Have confirmed it’s imported. Now to find some. And taste! P.S. I mean, certainly “NOT” complemented. 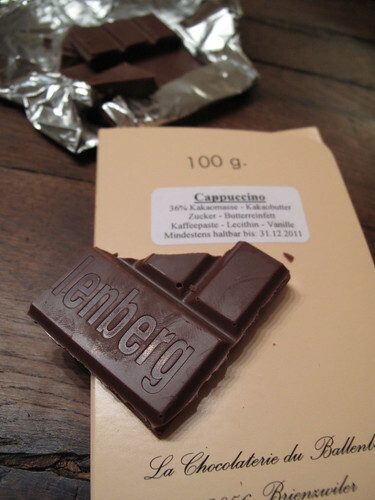 The Ballenbergerli looks satisfyingly crunchy, with the perfect snap of chocolate and praline….lecker. Is that Bauernhaus motif stamped or hand “painted”? Kerrin, have you ever traveled up north into the charming, little town of Aachen, Germany where there is one of the Lindt & Sprüngli factories? (Certainly they have one in CH as well) I would ride my bike past this factory breathing in the incredible aromas of chocolate and sugar. 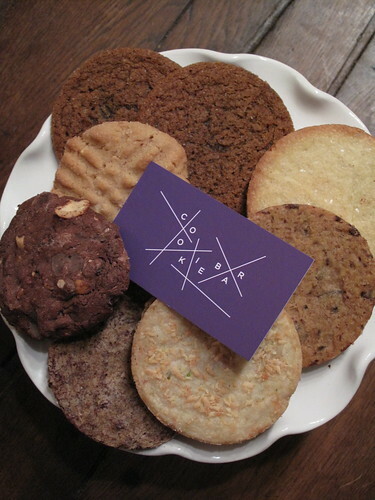 There I would purchase a type of cookie which, if memory serves me right, is reminiscent of the Ballenbergerli. Oh, and by the way, I pray that the “Swiss Story” still has many tales to tell. What an amazing treat to watch a true artisan at work. I too loved the image of the old chocolate moulds, just amazing. I do believe I have just put this place on ‘things I must do’. Eating chocolate like this…., heaven 🙂 Great story. Oh my! 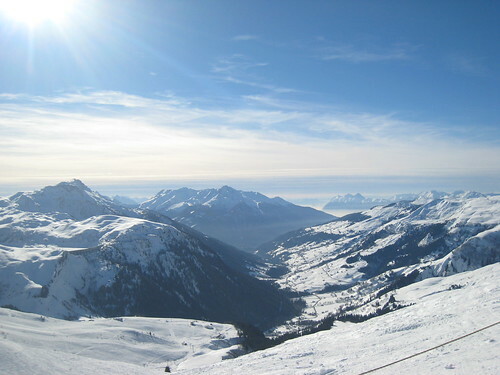 The photos have me craving both chocolate & Switzerland. Stein am Rhein kind of reminds me of Bremgarten. Thank you for the great story on Marius. Julia, not rants at all, thank you for your words above. I could not have said any of that better myself. And as for my chocolate compass – oh definitely, the sweet radar is always on, ha ha !! Just love your comment here, thank you thank you !! Thrilled that you’re getting more info on all the other details too – I’d write about it all, but my posts would take days to read 😉 One last note, Felchlin (//new.felchlin.com/) is simply fantastic. Go for the 65% Maracaibo, wow. Erica, and thank *you* for the links above, will check them out for sure. As you know, of course, I do love checking out brands I have never heard of, and especially from other countries. Sweden ? Cool. Deb, those are cravings that go hand in hand – chocolate and Switzerland ! 🙂 I don’t know Bremgarten, but sounds like I’d love it if Stein am Rhein is similar. Glad you enjoyed the post here, thanks ! There now you’ve gone and done it! 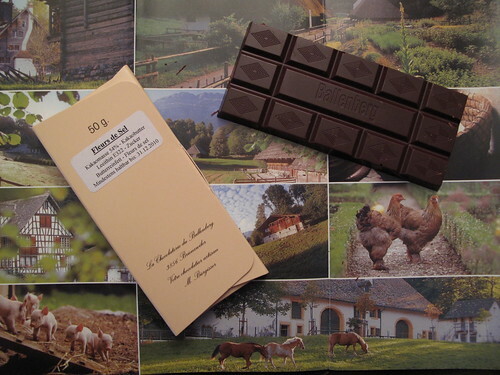 I am planning a visit to you, Zürich and chocolate this year! I want to visit it all and taste it all. 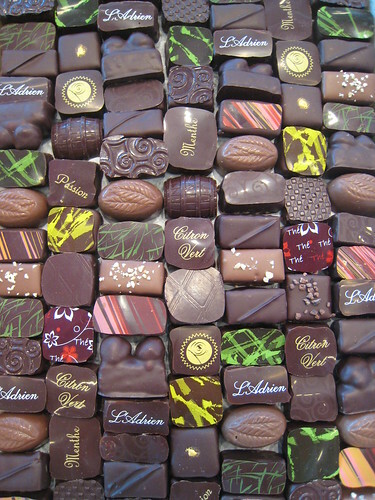 This shop is wonderful and his chocolates look and sound fabulous. What a fabulous, fabulous storty, and aventure in chocolate-making heaven! Jamie, when you get here, you’ll have all the visits and tastes you want ! Can’t wait ! urs, aha, thanks so much for the info, I didn’t know that the Ballenbergerli were available in other places. But I suppose if you like them, then that’s not such a bad thing 😉 Do you like them ? If so, from where is your favorite ? urs, sorry about that. Always so frustrating when store hours are out of the ordinary, and as a surprise too. What are nüüchircherli ?? 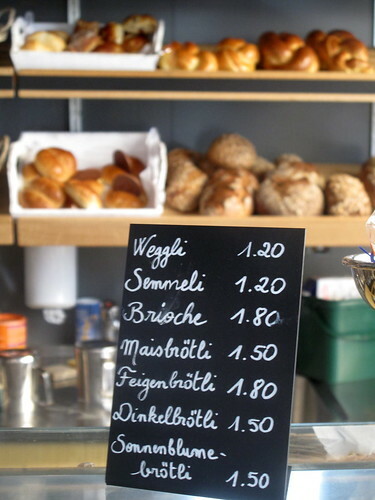 kerrin nüüchircherli are a very old specialty at 2 or 3 places in the Kanton Schaffhausen, made after an old recipe. it’s easier to explain in french: deux petites tongues “züngli”, dont la pâte contient des amandes et noisettes très finement moulue, sucre/miel et de blanc d’oeuf, pas de la farine. on forme des petits tongues très très fine. 2 “züngli” sont assemblés avec une créme au beurre. les “nüüchircherli sont les plus fines, fabriqués dans une petite confiserie nommée “es schöggeli” dans la petite ville de Neunkirch (SH).